If you ever dreamed of living in the mountains, and experiencing the beauty & tranquility of nature as an everyday occurrence, but still want the amenities of the city at your fingertips, then look no farther. Wilderness Ranch offers the best of both worlds! A short traffic free drive from the city of Boise Idaho and you will find yourself free from the every day stresses. If your an outdoor enthusiast, then Wilderness Ranch and the Boise County area sport a large variety of outdoor activities such as, Hiking, Cross Country Skiing, Biking, Horse Back Riding, Fishing, Just minutes to Lucky Peak Reservoir for Boating & Swimming, Water Skiing, Kayaking, Rafting, Wildlife viewing and Hot Springs, just to name a few. Wilderness Ranch is a residential subdivision that offers a wide range of mountain living with easy driving to Boise, Idaho. Wilderness Ranch is about twelve miles northeast of Boise as the eagles fly and about 24 miles along Highway 21 toward Idaho City. 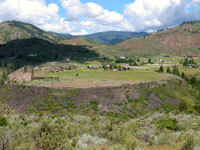 Wilderness Ranch is located in Boise County; our county seat is Idaho City. 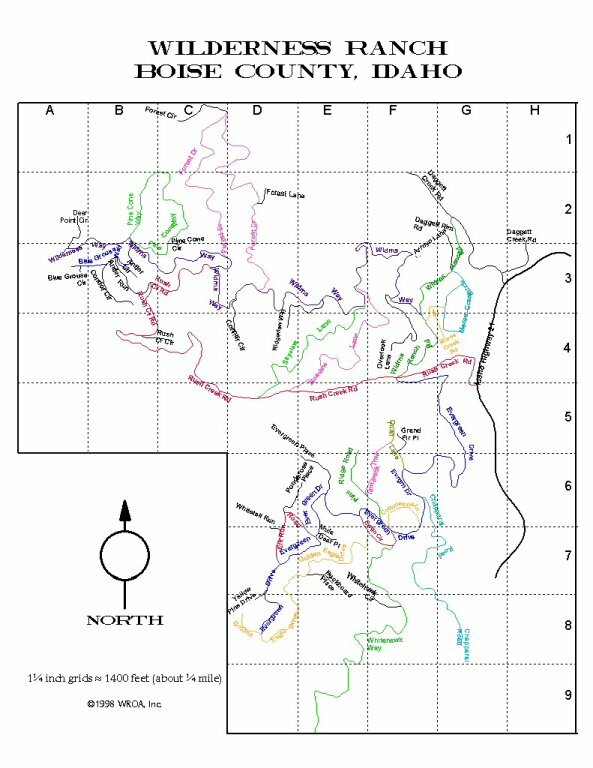 Click here for a map of Wilderness Ranch. How Big Is Wilderness Ranch? There are about 360 lots at Wilderness Ranch totaling almost 1,200 acres. An additional 800 acres of common area is owned and maintained by the Wilderness Ranch Owners Association. Currently there are about 215 developed lots (lots with residences). What Can You Tell Me about the Water System? The Ranch water system consists of a state-of-the-art water treatment plant that treats water drawn from Robie Creek and ground water from underground galleries. The facility is located along Robie Creek Road just south of Wilderness Ranch. Treated water is pumped to eight tanks or reservoirs located throughout the subdivision. From these tanks, water is fed by gravity to lots. For more information about the water system, click here.